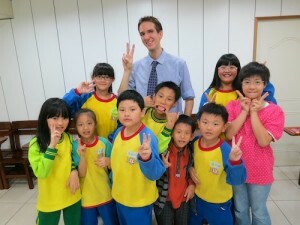 Reach To Teach is a world leader in overseas ESL teacher recruitment. We provide our schools with one-of-a-kind services that are tailor-made for your school and hiring needs. That’s why we’re able to offer our teachers such a great list of schools, educational institutions, and Ministry of Education programs to choose from! To learn more about our teacher recruitment services, please complete our quick and easy School Recruitment Request Form. We are not your average run-of-the-mill teacher placement agency. We put a lot of time and effort into recruiting the right teachers for our programs. We’re proud of the one-on-one services we offer every teacher we accept into our program. Our talented recruitment staff are all former ESL teachers that understand the ESL industry. Furthermore, they have all had experience living abroad. Teachers you receive from Reach To Teach are prepped and coached for their year abroad by a professional recruiter who understands the ins and outs of expat life. We’re strong believers in making sure that we match great teachers with great schools, and that is probably the number one reason why we have a 99% contract completion record! Unlike other agencies, our teachers enjoy support throughout their year abroad. This begins when they are accepted into our program and ends when they return home. Furthermore, we are the only recruiting agency that organizes events for our teachers to help them establish a support network with other teachers in their area. These are just a few of the reasons why we have such an excellent reputation in the ESL industry. Our teachers often return to us for a second or third placement because they know they are being placed with a great school that will genuinely care for them. Make sure you check out some of our teacher testimonials to learn what our teachers say about our services. We are experts in what we do. We’ve gained a reputation in the ESL industry for being honest, professional and trustworthy. We are very selective about the teachers that we work with. We only work with the best teachers. We don’t accept just anyone into our program. We are very selective about the schools and teaching institutions that we work with. We spend as much time screening our schools as we do our teachers. We are the only agency that spends on average three to six hours on the phone with every single one of our teachers, before they even step foot in your school! We excel at making last minute placements. We always have a waiting list of teachers ready to go! We offer a full range of teachers, from fresh university graduates that are looking for a good school to start their teaching career, to teachers that have a few years of ESL experience under their belts, as well as certified and seasoned educators. We look forward to receiving your English language school application and helping you fill positions with ESL teachers that will be a valuable addition to your school.